The interest in -- and progress with -- deregulated electricity and energy companies has generally grown at an exponential rate over the last few years. Presumably, as a direct result of the rising costs power suppliers are asking for. The average monthly electric bill for an average American now costs about $107 (or 903 kilowatt hours). While many states have already deregulated energy markets to allow for more competition and better rates/service for the consumer, there are still many that are stuck in the old model of energy suppliers, who use only one utility service. Arizona may be one such state for now, but a new piece of legislation that's currently going through the process of being enacted could help to change that. According to the industry news source ElectricChoice.com, Arizona State Senator Carlyle Begay is behind the new bill that would create a new power district in Navajo County. While this particular bill would not be for completely deregulated electricity, it would allow individual counties (as opposed to citizens) to make choices with private businesses that could improve the quality and reliability of their services. "This legislation is designed to form a power district in Navajo County, creating a new source of revenue for the county, as well as jobs," said Skyler Careaga, Chief Executive Officer of SEC Power. "This legislation should also help with spurring the local economy, creating new business development with a redundant, secure source of power and infrastructure for businesses to operate." Most importantly of all, perhaps, is the fact that it would all be done without raising local taxes, since it would be privately funded and developed. Careaga was also quick to point to an Excel document he had that shows 64 pages of power outages between 2006 and 2009 alone. Many of these are believed to have been avoidable under the conditions of the new bill. As technology has evolved, our electricity usage has increased accordingly. In 2013 U.S. electricity use was 13 times greater than it was in 1950. Fortunately, the cost of generating electrons currently accounts for less than half of the price of electricity, according to the Edison Electric Institute. As recently as 1995, it accounted for two-thirds. While the bill won't establish completely-deregulated electricity, it could be an important step in opening the eyes of citizens who have been reluctant to explore changes to the way electricity and energy are provided and show everyone how efficient the private sector can be in a traditionally public domain. Why exactly are alternative energy companies becoming such a major part of the energy industry today? For two main reasons: alternative electricity for your home or business can potentially provide savings for some consumers in the immediate future, while the variety of energy sources can allow for environmentally friendly energy options in the long run. Solar Energy: Harnessing the natural power of solar rays from the sun, solar energy has been an important source of energy since before "power companies" were even a thing! Solar energy is used more often than any other alternative energy source globally. Wind Energy: A bit less common (and reliable) than solar energy -- but just as powerful -- is wind-powered energy. This form of natural energy has actually been used for hundreds of years: think of how ships used their sails to navigate the seas, or how windmills in colonial times allowed farmers and shop owners to manage automated tasks (like grinding grains). Geothermal Energy: Geothermal energy is easily one of the most powerful forms of energy today, and it can be found nearly anywhere. This energy source uses heat which is produced deep under the Earth's surface, where molten rock and lava are constantly churning, and heat pumps convert this heat into steam so that it can power generators in homes and businesses. As long as the Earth keeps producing heat, this form of energy has the possibility of remaining renewable indefinitely. There are several other types of power sources which alternative energy companies are starting to tap into -- and it's never too early to start learning about these sources and deciding if you might benefit from them! 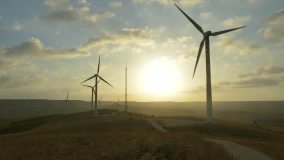 As the world and the people that live in it have become more and more concerned with sustainability, energy suppliers' distributions have become an issue of importance. Many communities have already deregulated energy markets, and now one of the country's leading, innovative communities is doing the same. Silicon Valley has long been known as the intellectual hub when it comes to technology in the United States and now the city of Los Altos, California looks like they'll try their luck with alternative electricity companies. According to the Los Altos Town Crier, the Los Altos City Council will make their final recommendation January 26 on whether or not the Silicon Valley Community Choice Energy (CCE) Partnership will be allowed to work with the local PGandE electricity company already in place to deliver more renewable and potentially cheaper electricity. "It's given us a choice," said Los Altos Environmental Commission Chairman Gary Hedden, speaking on his own behalf. "To me, that’s the big attraction." The cost of generating and delivering electricity has decreased considerably in recent years thanks to technological advancements. For example, in 1995 the average delivered cost of electricity for investor-owned utilities was 7.1 cents per kilowatt hour and generation accounted for about two-thirds of the price. Today, generation only accounts for less than half the price, according to the Edison Electric Institute. For a community that's known for living on the cusp of modernization, they were hesitant to make the move from the norm. They first considered the move way back in April, and now things are finally moving after about a year. While no solid numbers on just how much consumers can expect to save on their bill are available yet, energy industry deregulation generally means more competition, better services, and ultimately better prices. Under the proposed partnership, CCE will actually work with PGandE. PGandE will maintain the grid and distribute the services, while CCE procures energy from alternative electricity suppliers. This strategy makes sense to at least one former member of the California Energy Commission and current resident of the area. "Utilities' business is to sell energy – not get customers to save energy," said Jeff Byron. "I'm keen on renewables, but the stuff I’m more interested in seeing is consumers being more efficient in their usage." Alternative electricity companies are a great solution to many of the problems local communities face and more officials would be wise to investigate services like Starion Energy for renewable, affordable, and reliable alternative electricity companies. What Are Some Alternative Electricity Sources? Electricity is a great expense when it comes to a household, with the average american living in an average home using 903 kilowatt hours per month costing $107. Air conditioning alone uses 19% of that money, which is the largest use of electricity in a U.S. household. There are, however, many alternative electricity companies that can help you find alternative energy sources for your home that are less costly. Wind mills or turbines use wind and convert its energy to electricity. Most homes use this electricity to charge batteries that energize the home, this compensates for times when there a minimal winds. 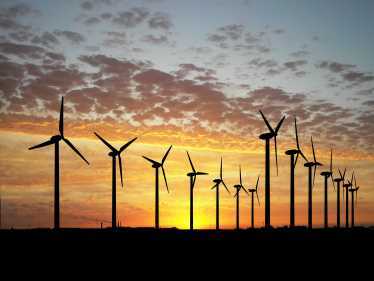 Wind is best used for electricity in are where there is naturally a great amount of wind. Solar power gives energy during sunny days, and at night or cloudy days a grid is accessed that has stored power for those times. Solar power systems are available for both large and small homes. The grid is normally placed on the roof to receive optimal sunlight. Heavy industries often use combined heat and power (CHP) as a source of alternative electricity. The heat from fuels produced by the industry, which is normally vented, is captured by a MicroCHP unit and produces electricity. These units are advancing to combine home electrical generation, home heating, and water heating. Combustion engines fueled by gas, natural gas, propane, or diesel are the least costly to purchase and install. However, to operate them is the most costly source of alternative electric power, which is why they are mainly used for emergency back-up where they may be frequent outages of power.The above stated power suppliers can be provided to you from alternative electricity companies. It is becoming increasingly important to find power companies that will help because electricity use keeps increasing. In fact, in 2013 U.S. electricity use was over 13 times more than 1950 electricity use.